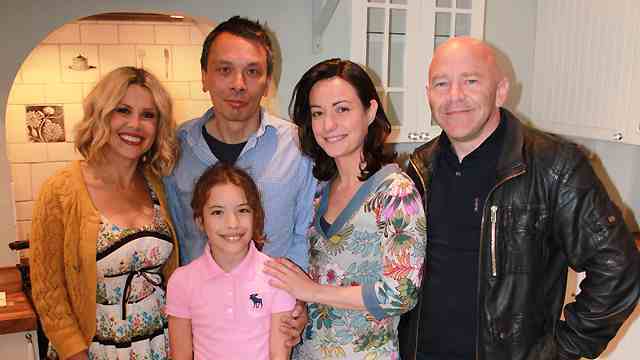 Back in April I brought you news that Dom Littlewood from Channel 5's Cowboy Builders was in Worcester Park, coming to the rescue of homeowners in Hampton Road. The team had arrived in Worcester Park to help the Marr family who, having paid out £23,000 for a kitchen extension, were left in the lurch when their builders disappeared leaving just foundations, a floor and two walls. The builders (and Melinda Messenger) moved in at the end of April and you can now see the Worcester Park episode of Cowboy Builders this Thursday (25th August) at 9pm on Channel 5. Will it be a heart wrenching tale of woe? Will they run out of money and have to go and beg local businesses for help? Will it all end happily ever after? Of cousre it will. It's telly, after all.